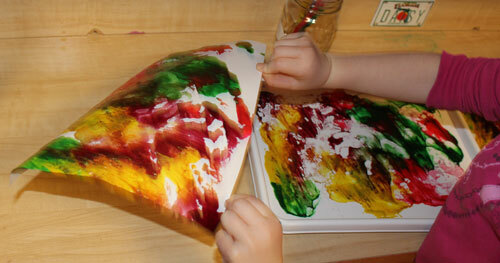 Coloured water play, as well as paint is a hit. 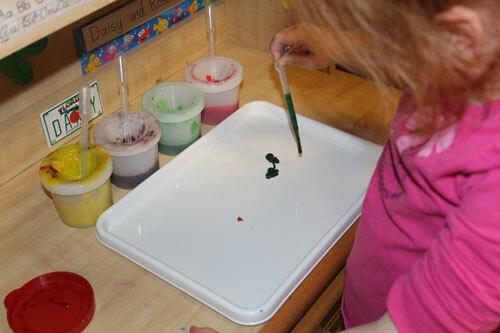 We used them last to create Moon Salt Art and the children who participated loved the squeeze action of the pipettes. 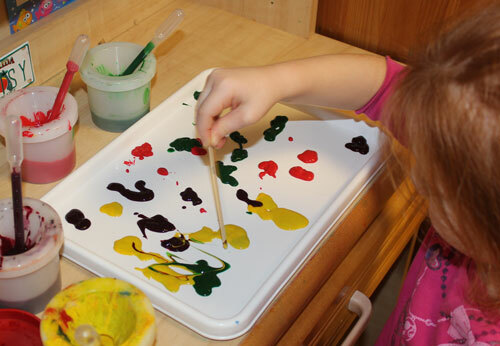 The messy paint trays are a perfect fit for a 9 x 12″ piece of paper so we used one as a blank canvas. The paint we used was a little thick as it had been sitting unused for many months. 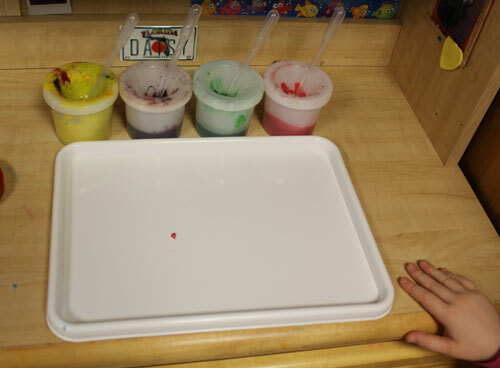 Adding a little water would have made the process easier for little fingers. This is a great strengthening action for the pincer grip. 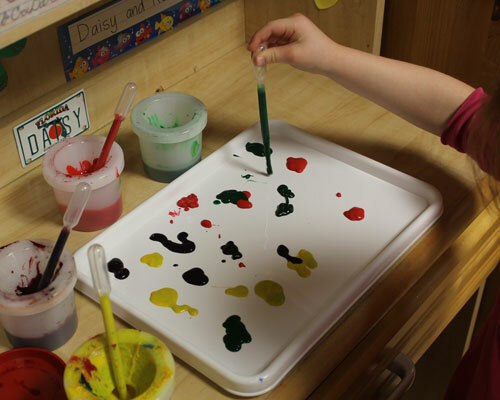 A skinny craft stick was used to mix paints. This is not necessary, but fun and prepared Rose for the colour mixing which is about to occur. 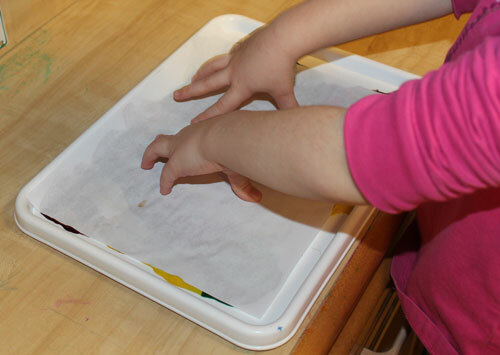 Adding paper and firmly patting. We managed to get two prints from the paint. Beautiful!